A flank steak cooked to perfection? A tasty cheeseburger? 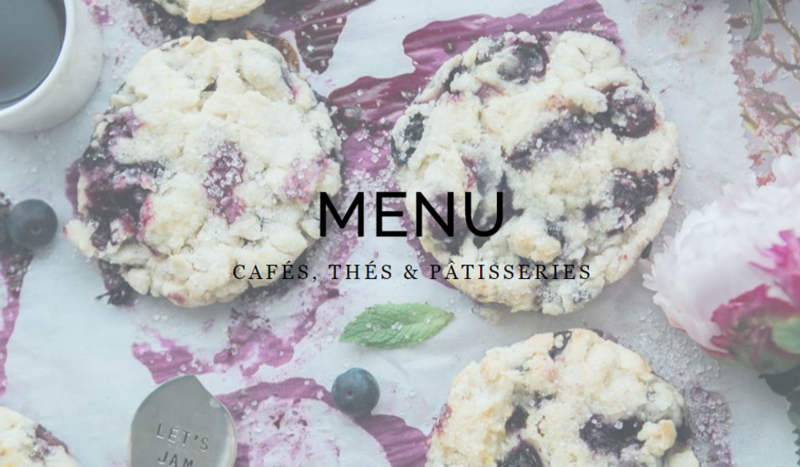 A menu so tempting that it’s impossible not to ask for dessert? Who doesn’t like to eat? We sure do!! That's why WebSelf's graphic designers have created mouth watering restaurant templates that will attract visitors from everywhere! So what are you waiting for? 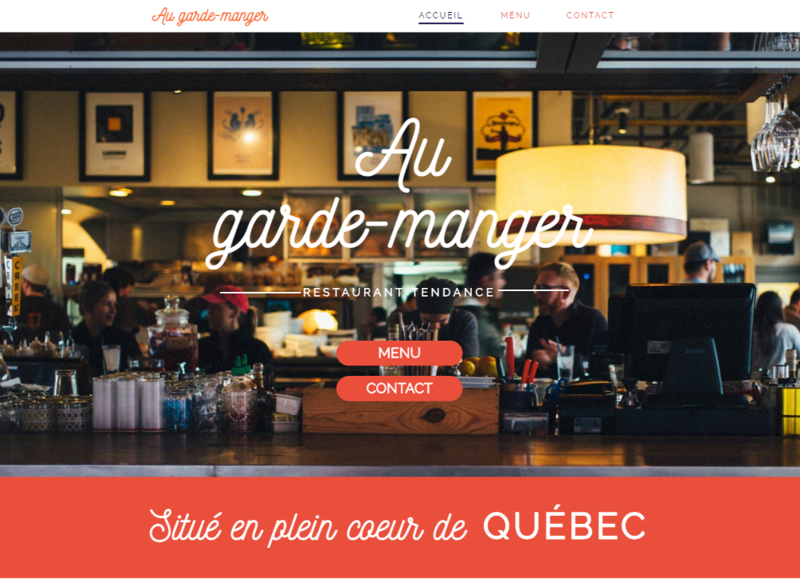 Get started on creating a website for your restaurant today. Steakhouse, coffee shops, fast food, vegetarian restaurants, you will surely find what suits your needs.. and the ones of your customers! 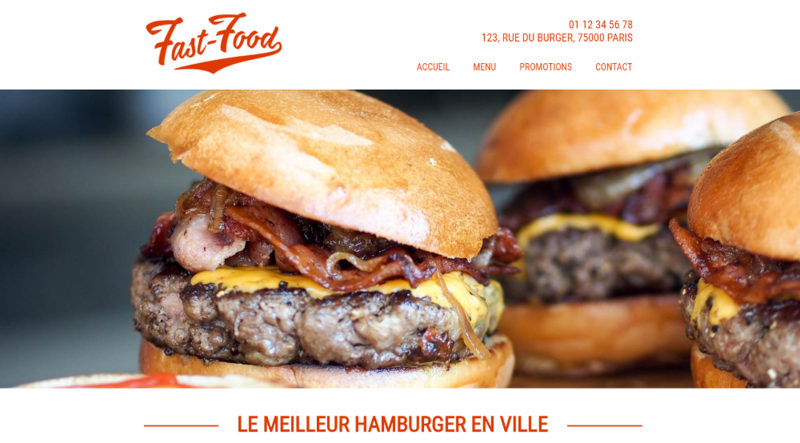 There are nearly a dozen WebSelf designs that were created especially for people working in the food industry. From the fast-food restaurant, the trendy restaurant and the bakery down the street, you will not have trouble finding a template that is perfect for your business. After selecting a theme, you will have to simply customize it by adding pretty pictures, your menu, your contact information and voila! You change the menu items according to the seasons? You modify the operation hours for the summer? No problem. With the WebSelf editor, you can edit your website as many times as you wish, for free! 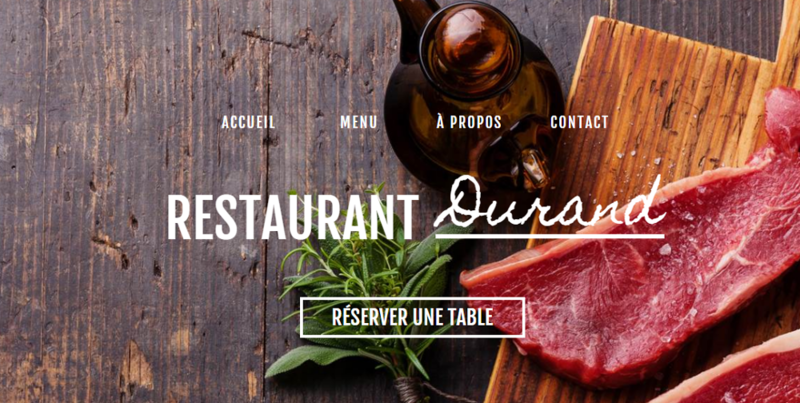 What better way to attract the attention of food lovers than by including your menu directly on your site! With a catchy name, an enticing description, the price and quality images, your restaurant will be a sure hit! Please note that the image quality is very important for your menu, but thankfully, we give you 6 tools for stunning photos for your website. The contact information is not to be neglected. You have the best menu in the city, but customers will not be able to take advantage of it if they don’t know how to find you! Add your address, phone number, e-mail, etc. For customers who have questions or comments, make sure to include a contact form on the contact page of your site. You're not a restaurant owner but food still interests you? 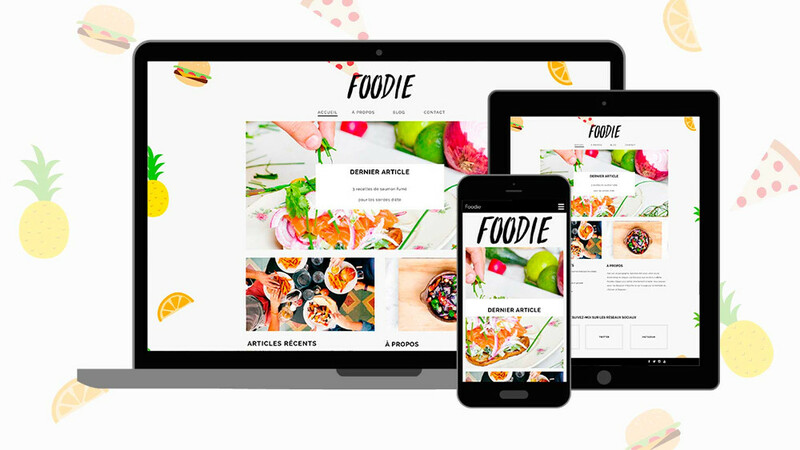 Luckily, there is a new WebSelf template that is perfect for you: Foodie's blog. In addition to sharing your passion on the web, you can share your favorite recipes and new "seasonal food trends" (Yes, those actually exist!) Creating an exciting foodie community with people who share similar culinary taste as you is so much fun! Now that you have all the ingredients necessary to ensure the success of your restaurant, what are you waiting for? Start creating your free website today!